Our goal is to connect people with the best local experts. We scored wedding photographers on more than 25 variables across five categories, and analysed the results to give you a hand-picked list of the best wedding photographers in Austin, TX. All Heart Photography serves the Austin area and focuses primarily on weddings. The studio is situated in Bryan, TX, but the team is willing to travel to Austin and across the world for destination weddings. The business began in the spring of 2013. The team at Austin Imagery Wedding & Portrait Photography has photographed hundreds of wedding ceremonies. They offer a speedy turnaround on your wedding day pictures. They also provide reworked, large image resolution data files. The business is a member of Wedding & Portrait Photographers International (WPPI) and Professional Photographers of America (PPA). Brio Art Photography provides photography services for Austin, Texas. The studio provides fine art photography for engagements, wedding ceremonies, boudoir portraits, new baby portraits, and family portraits from a professional photographer. Corey Mendez Photography is a Leander-based studio that services Austin. Every shoot includes image delivery by means of a customized gallery, with non-obligatory password security, integrated printing, metal print, and canvas purchasing. Wedding ceremony galleries continue to be effective 12 months from the day of sending. Dustin Finkelstein Photography offers a tailored Austin wedding photography experience to every customer. Customizable packages start as low as $1,800. The team tries to passively blend into the crowd and capture the candid, non-choreographed moments of the event. Everett Christopher Photography brings an unobtrusive approach to every Austin wedding. The studio only uses digital photography, and focuses on capturing natural, candid images. They complete all image retouching in-house to ensure that images are at their highest quality. HighDot Studios serves the Austin area and specializes in anniversaries, green wedding ceremonies, and LGBTQ weddings and ceremonies. HotDot Studios is available to travel for destination weddings and does not charge travel fees for local events. Established in 2010, In Your Eyes Photography offers photography services in Austin, Texas. They have a candid photography style and attempt to highlight the emotions of couples on their wedding day. Customers describe them as "sweet, down to earth, and professional." They take pride in producing images that are genuine and unforced. J Bell Photography offers photography services for the Austin area. Hundreds of Austin families have entrusted their recollections to J Bell Photography throughout the last ten years. The studio was a competitor of KVUE’s Best Wedding Photographer in Austin, along with the Texas prize winner of The Knot’s Best Of for 2014. J. Masciana Photography has been photographing wedding ceremonies in Austin since 2011. The studio's main goal is to produce beautiful images and capture all the unique moments that make your wedding special. Jennifer Cote Photography photographs weddings in Austin, TX and beyond. The studio retouches and enhances each picture to ensure that customers have a flawless and memorable final product. Clients love the quick turnaround time for proofs and digital files. Jennifer Weems Photography provides wedding photography services for weddings of all sizes in the Austin, TX area. Customers love the lead photographer's easygoing nature, suggestions for poses, high quality staged and candid images, and ability to help the bride and groom relax on their wedding day. Jenny Demarco has been photographing Austin weddings since 2009. 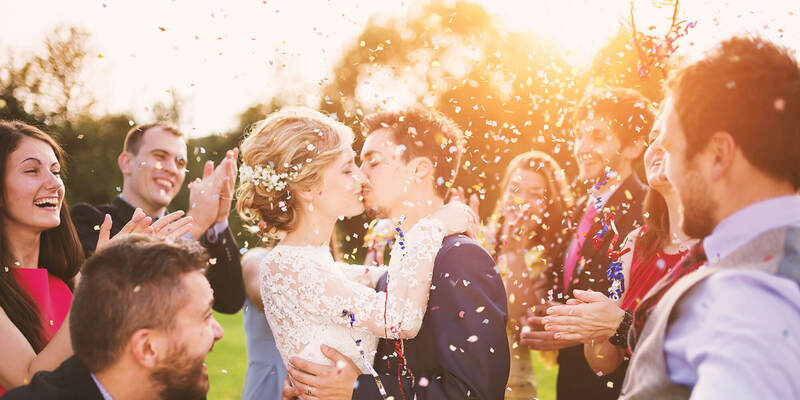 Printed regionally and nationally, the business was selected as one of the best wedding ceremony professional photographers in Texas by The Knot, Austin Monthly Magazine, and Birchbox. The team at Jetter Photography has captured Austin weddings, engagements, and bridal portraits for nearly 15 years. Other services include family, newborn, graduation, corporate, landscape, photo booths, and maternity photos. Katherine O'Brien Photography is a Buda-based studio that uses a documentary style and Canon Digital equipment to capture weddings across Austin and beyond. The team also films with Classic LOMO Spinner, Hasselblad, Rollei, and HOLGA Video cameras. Katrina Barber Photography is an Austin wedding photography studio. The main photographer creates images that show authentic qualities of her clients in a soft and romantic style. She does this seamlessly, blending into the wedding or event and becoming a fun and professional addition. Kelly Cameron is a boutique Austin wedding photographer. Kelly offers complimentary downloads for friends and family, and serves customers throughout the Greater Hill County area. All wedding packages offer a keepsake box and USB thumb drive with high resolution edited images, full printing rights, and an online viewing gallery with free downloads for friends and family. Lindsey Thorne Photography is an Austin studio with a proven track record in fashion and wedding photography. They use their unique style to capture the glamor of every event. The team was highlighted in Texas Wedding Guide magazine and also received WeddingWire's Bride's Choice Award in 2012, 2013, 2014, and 2015. Michelle Loconto Photography serves Austin, TX. They believe that old-fashioned personal service is key. The studio photographs in a creative photo-journalistic style while still appreciating the need for traditional images. Whether creating fine art portraiture or documenting a wedding day, they provide both the experience to foresee fleeting moments quickly and the technical skill to capture them. Mitchell Bahr Weddings captures wedding photos and videos in the Austin, Texas area. The main photographer has worked on Law and Order SVU, and shot Kenneth Cole videos around the globe. The studio covers every kind of shot, adapting to different lighting conditions on the fly and dealing with new people every week. Pearlsnap Photography has been delivering photography services for the Austin area since the fall of 2013. They use digital photography and shoot with vintage film cameras (including Contax 645 and Mamiya RB67). Photohouse Films is a Round Rock-based photography facility that serves Austin and focuses on wedding photography and cinematography. The business is a member of the Professional Photographers of America (PPA). Rachael Hall Photography photographs weddings in Austin, TX and the surrounding areas. After a marriage ceremony, the studio provides a handcrafted, archival album that displays the tale of the wedding. This album will last a lifetime and will be the focal point to each anniversary gathering. Songbird Weddings Photography serves customers across the greater Austin are. The lead photographer is dedicated to preserving moments, memories, and emotions. The studio provides event coverage for weddings and other ceremonies as well as portraits of children, family, senior photos, and even pets. Sweetleaf Photography photographs Austin weddings and corporate events with a photojournalistic style. Their goal is to capture life and preserve the memory so that one day their customers will look back and smile. Every wedding is photographed by the main photographer who is accompanied by an assistant or a second photographer, depending on the client's budget.